Knowledgeable about health care reform, Harvey frequently helps clients sort through myriad issues and changes stemming from the Patient Protection and Affordable Care Act and the Health Care and Education Reconciliation Act of 2010. 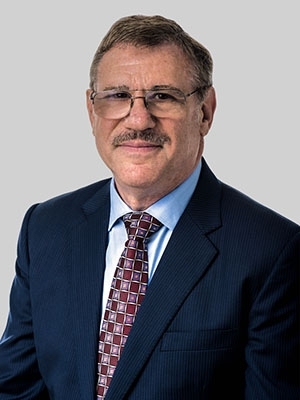 Prior to joining the firm, Harvey was the senior employee-benefits partner in the corporate department of Brown Rudnick Berlack Israels LLP in New York. Harvey frequently lectures professional groups including the American Society of Pension Actuaries, the Enrolled Actuaries Conference, the ASPPA Benefits Counsel of New York, and The Actuaries' Club of Hartford and Springfield, as well as conferences sponsored by Fidelity Investments, Plan Sponsor Magazine, and Lorman Teleconferencing. Before starting his legal career, Harvey was a licensed electrical contractor. He has completed several graduate level courses in actuarial science. Outside of work, he enjoys playing the piano, listening to jazz, collecting art, reading science fiction and building furniture.